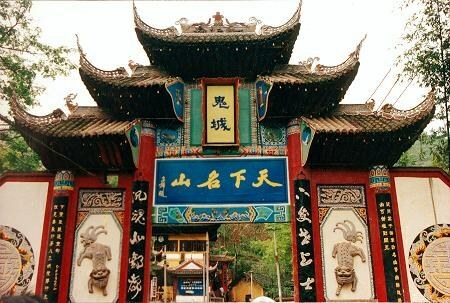 There are 75 Buddha and Tao temples in the town of Fengdu, most of which gathered on a famous hill named Ming Mountain. It is said that Ming Mountain is one of the 72 graveyards for Taoism. Tao believes that when people die, their spirits will gather there (also called spirit world). All the temples on the hill were built at Western Jin period (265 ~ 420A.D.) and rebuilt in Ming and Qing Dynasty (1386 ~ 1911A.D.). Fengdu is the only ghost city in China. The temples are all over the mountain with many statues. In the spirit world, there are series of super beings in the temples. They all have their own responsibility, and they guard the spirit world. Fengdu has a great country forest park Shuang Gui Shan; Guiwang stone carving, one of the fineness in the world; this place has the most Han tombs (old graves from 206B.C. ~ 219A.D.) in China. Therefore, when you traveling the Three Gorges of Yangtze River, Fengdu is a place you do not want to ignore. Their magic stories attracted many believers. They merged their families names, - Yan Wang, it means the ruler of hell. Therefore, in peoples mind, Fengdu became a mystical and terrible place of spirits. Li Bai, the great poet of Tang Dynasty wrote this in his poem: it is interesting that all the people will be a citizen of Fengdu one day. 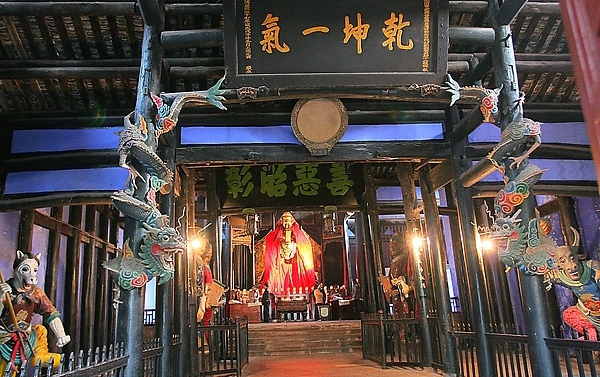 With temples constructed on the Ming Hill by the river bank and many statues of ghosts and devils molded in the temples. 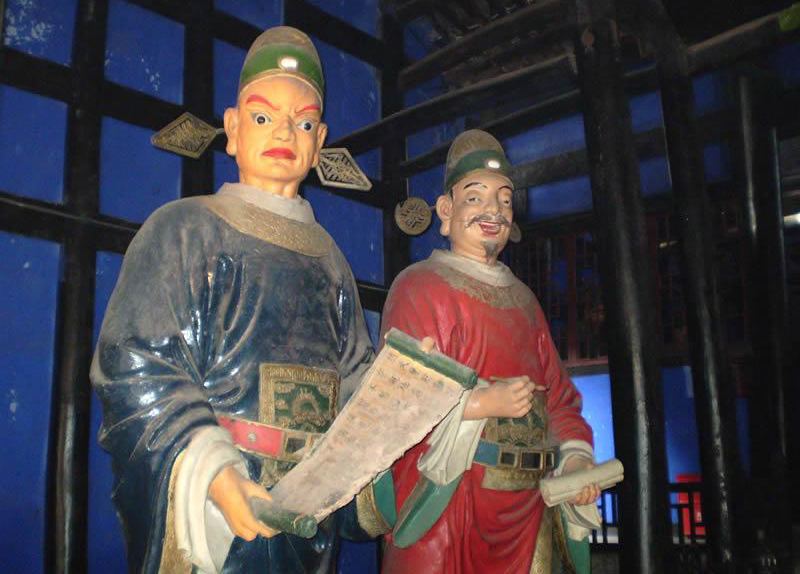 These terrifying statues describe the after-life where people who disobey ancient Chinese morals are punished in every horrifying way. By the standard of Hollywood movies, it should be ranked the highest level. From the ship pier, you can climb the winding cobblestone road or take a cable car to reach the 288 meter-high hill. Some ships arrange an early night visit to the ghost city just to catch the terrifying effects. To Chinese, the social structure in the hell is exactly like that in this world. 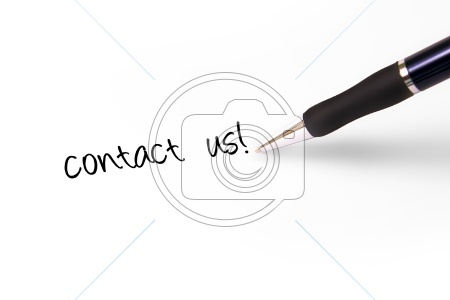 In hell, a sprit would go through a whole and complete bureaucracy to get the final sentence. The pure spirits would be rewarded and the sinful ones would be severely tortures. Different tortures would be given to different sins. The Temple built on Mt. 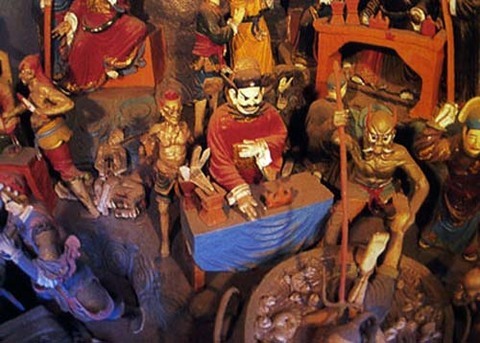 Mingshan display instruments of torture and wide demon images, which vividly depict the Chinese peoples imagination of Hell. Landmarks on the hill bear horrible name - Ghost Torturing Pass, Last-Glance at Home Tower, Nothing-to-be-done Bridge and the River of Blood. 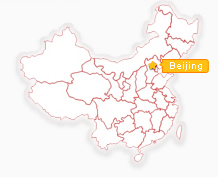 It got its reputation as the Ghost City in the Eastern Han Dynasty. Two officials from the imperial court: Wang Fangping and Yin Changsheng, got bored with the political life in the court and came to Mt. Minshan outside Fengdu City to practice Taoist teachings. Both of them later became immortals by carrying out self-cultivation. This story widely spread and Mt. Minshan became famous. When combined together, their surnames Yin and Wang, sound very much like King of Hell in Chinese. Hence the people began to call Fengdu the Ghost City. It was the legendary capital of The Ghost King sculptured statue is 138 meters high and 217 meters wide. The tongue only is 81 meters long and mouth 70 meters wide. The pictures are carved in to the mountain for a depth of 26 meters. Visitors can climb the body of the king to the top of the mountain. Guinness World Records has listed it as the biggest sculpture carved on a rock.Ghost State by Daoists. Every Chinese Lunar March 3 to 15, merchants and businessmen gathered Fengdu city. There were various folk culture activities. The ghost face is one of specialties. Fengdu ghost city are welcome domestic and overseas visitors very much.